Suboxone addiction treatment should start right after you experience the first symptoms of addiction. What is Suboxone and Can You Get Addicted to it? People use Suboxone for the treatment or prevention of withdrawal symptoms in patients. For example, they have been on narcotic analgesics for a long time. It contains Buprenorphine and Naloxone. Buprenorphine is an opioid with mild narcotic effects. Meanwhile, Naloxone is an antagonist of the opioid receptors. Of course, there is also a chance that you may get addicted to it. However, the addiction potential of Suboxone is low. That is when you compare it to stronger opioids such as morphine or heroin. No doubt, various factors can determine your addiction liability. They include the dosage, the duration of therapy and your own genetics. What are the Symptoms of Suboxone Addiction? Suboxone addiction is a chronic behavioral disorder which takes over your thoughts. Once an addiction develops, you are unable to perform the everyday task without the drug. Of course, this can cause many problems. These can be problems with relationships or work. It is both a physical and psychological disorder. Sure the limits of mental addiction in your mind only. However, physiological addiction makes enslaves your body. After you use certain drugs for a while, your body demands more of the drug. This way, it is able to produce the same effect which a smaller dose was able to produce. They call this is tolerance. This leads to addiction. As a result, your body cannot perform normally in the absence of the drug. Long-term use of Suboxone is habit-forming. Regrettably, failure to fulfill the bodily needs results in many symptoms. The following signs are strong indicators of addiction. Does anyone in your family or circle of friends show any of the following signs? If yes, you need rush to your doctor to find an appropriate solution. Misuse of prescription to get more of the drug. An addicted person attempts to own a large quantity of the drugs as a backup. Loss of valuables from home. This could show us the money spent on buying the drug. Regrettably, addicts might resort to stealing. Lack of communication: The person does not enjoy the company and loves to stay in isolation. There is less communication between with friends or even family members. Extreme tiredness: The person looks tired always. The lack of energy clearly shows on the face and body. The person refrains from indulging in physical activities and prefers to stay alone. Frequent visits to the pharmacy. Inability to perform normal tasks. This includes going to the college or office. As a result, the reduced ability to bear responsibilities can result in loss of jobs. Emotional instability, aggressiveness or severe mood swings. Most of which aren’t compatible to the current situation. Withdrawal symptoms develop when you stop taking the drug. The cravings start after blood level of the drug reaches below a certain amount. Congrats, you have stopped taking the drug. After, the drug will start to clear out of your blood. As a result, these are the common symptoms you might experience. 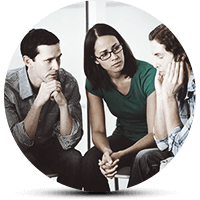 Currently, Suboxone addiction treatment is a collaborative effort. Many people will take part in the action. It includes the victim, family members, doctors, psychiatrists, and counselors. In addition, it may also include alternative medical practitioners and other healthcare pros. They all work together aiming for a common goal of detoxification. Live a sober life with no cravings for the drug and very little or no residual health effects of the addiction. The cost of the treatment is another major issue second only to health. Of course, you have to remember that the cost can vary depending upon the treatment option you chose. In general, you will have to spend $5K to $30K for a complete package of the rehabilitation. Also, make sure to determine if your insurance plan covers the expenses. It’s quite possible that you find yourself lost in confusion. In any case, choosing the “right” rehabilitation center for your loved one is a tough task. We believe the task should not be as complex as you might think. In addition, taking into consideration a few factors, you can extract the right one from the crowd. Reviews from previous residents of the center, if possible. You may also consider other factors such as location and accessibility. Presently, residential rehabilitation can last from a few weeks to months. During this time, you will have an ample opportunity to reclaim your life and become a better person. Suboxone Addiction Treatment Plan: What are the parts of the Plan? What is the Role of Each Person involved? Rehabilitation and journey to sobriety are a long-term process, not an event. Unfortunately, most people do not realize this. After assessing many factors, the team of experts design a treatment plan. For example, they will consider your health condition, the severity and type of addiction, and withdrawal symptoms. Other contributing factors can be the tendency for relapse, and socioeconomic background. You and your family: You are always central to any decision taken by the team. Psychologists: They assess your psychological attributes with specific tests and provide counseling. Trained nurses: They look after your care from the day of admission to discharge. Physical therapists who teach you specific exercises and physical training. Occupational therapists teach life skills needed for performing daily tasks. Dietitians: They help you plan a healthy meal that meets your dietary requirements. Addiction is not just your problem. At the same time, your family and the community all bear the brunt at some levels. This can be explicitly or implicitly. Therefore, if you or anyone in your family has an addiction problem, do not hold back. Come out for help and discover how you will find it from every corner. For more on Suboxone addiction treatment, click here and connect to a detox or rehab center near you.